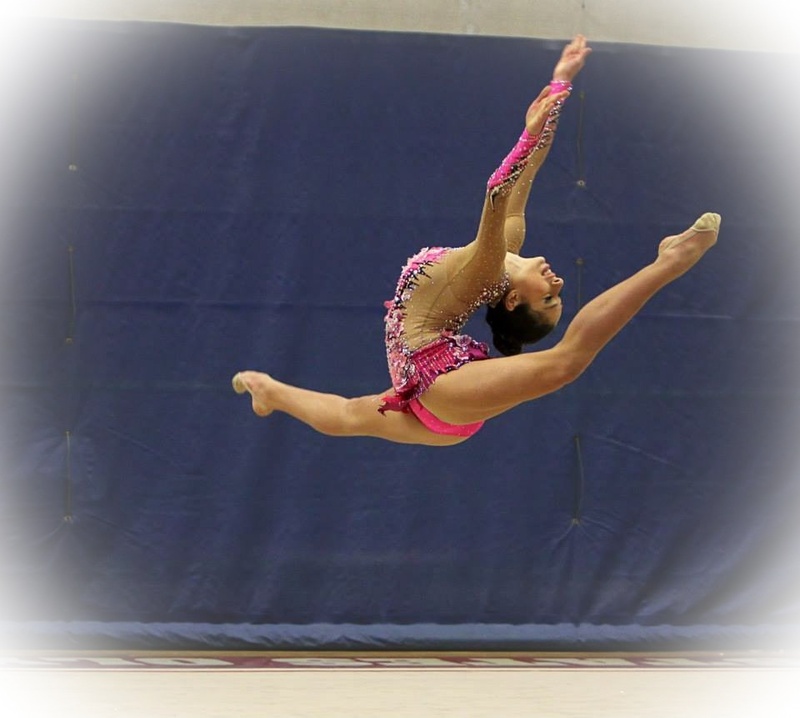 2014 Rhythmic Challenge features the top junior and senior rhythmic gymnasts from the USA. This even was held the U.S. Olympic Training Center’s Sports Center in Colorado Springs, Colorado. 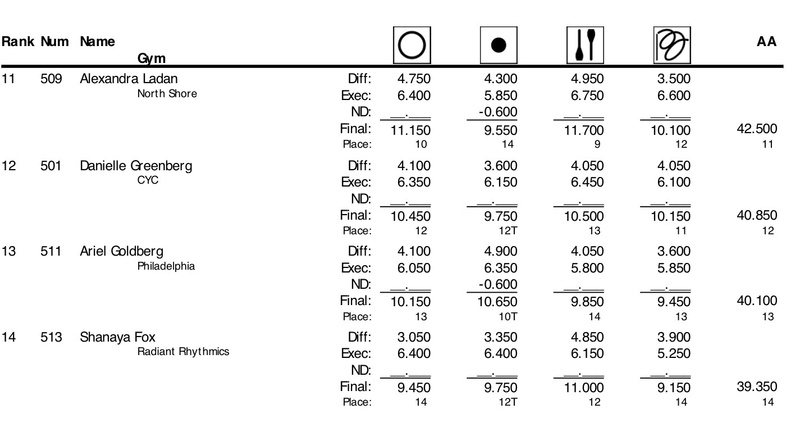 Laura Zeng of Libertyville, won easily junior All-Around competition, she even took first in all apparatus. 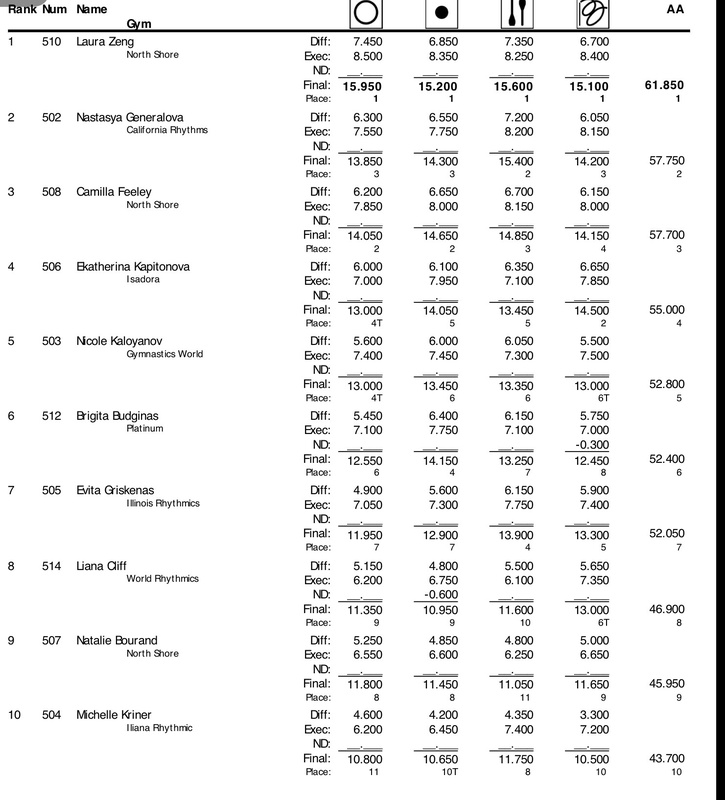 Second position in junior all around was for Nastasya Generalova (Los Ángeles), followed by North Shore gymnasts, Camilla Feeley. The Senior All-Around winner was Rebecca Sereda, followed by Aliya Protto and Jazzy Kerber. 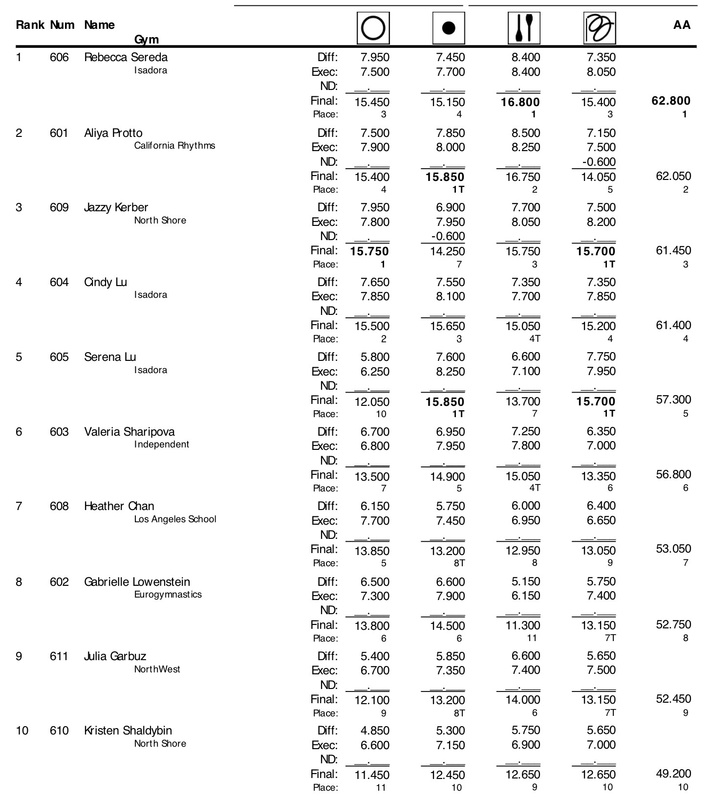 Cindy Lu of Isadora/Staten Island, N.Y., was fourth, and Serena Lu finished fifth in the all-around. 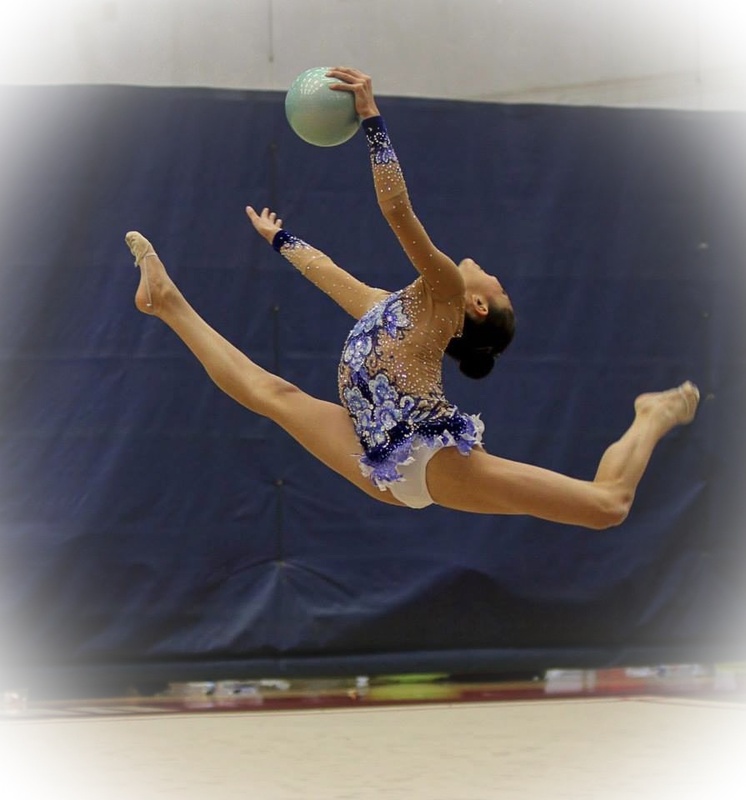 Next PostInformation about Asian Junior Championships 2014.